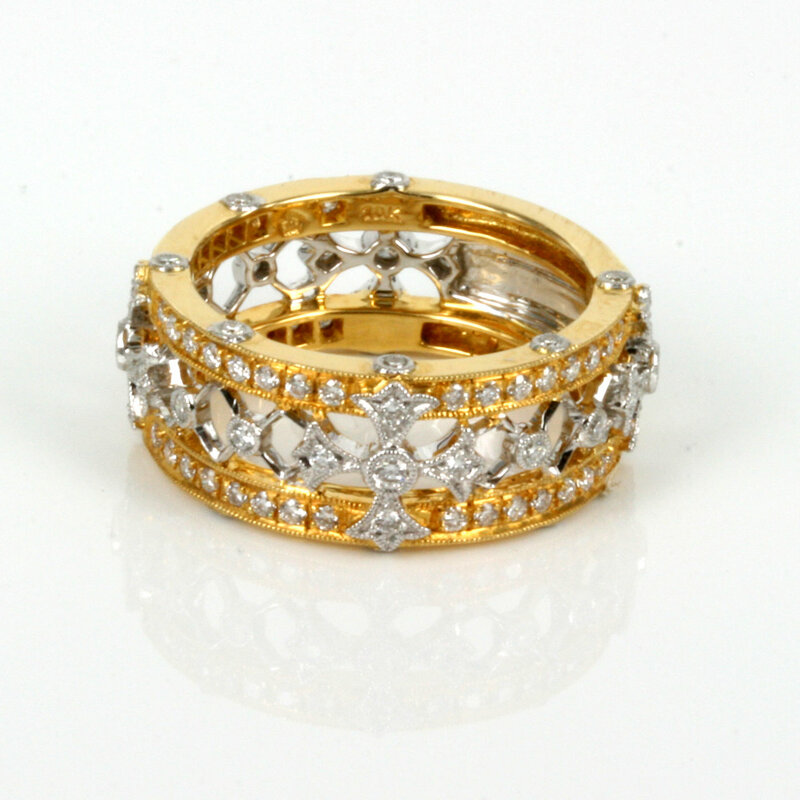 Product code: ES653 Categories: Sold Items, Sold Rings. This is such a stunning ring made by Lora Di with such fine superb detail around the diamonds and a brilliant design with the use of yellow and white gold. 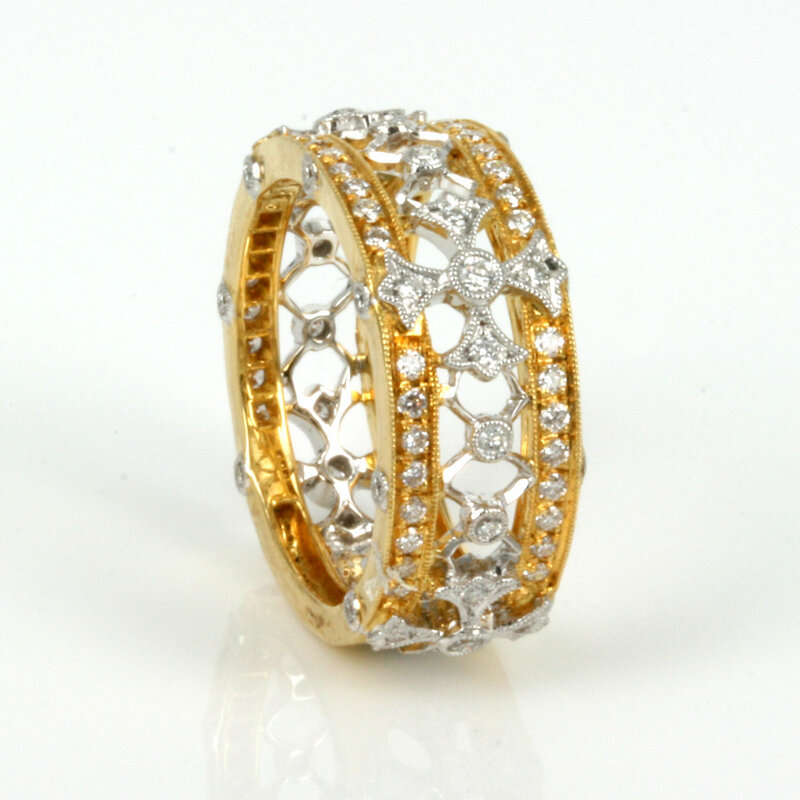 Made in 18ct gold, the ring is made by Lora Di, the ring measures 8.5mm wide and is set with diamonds on the side. The diamonds total 0.86 carats, and are all brilliant cut diamonds that give out so much sparkle. A magnificent ring that looks amazing.